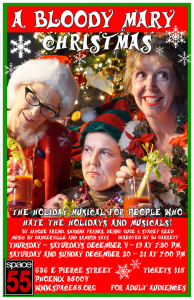 For the fifth consecutive year, Space 55 presents a holiday musical for people who hate the holidays and musicals. 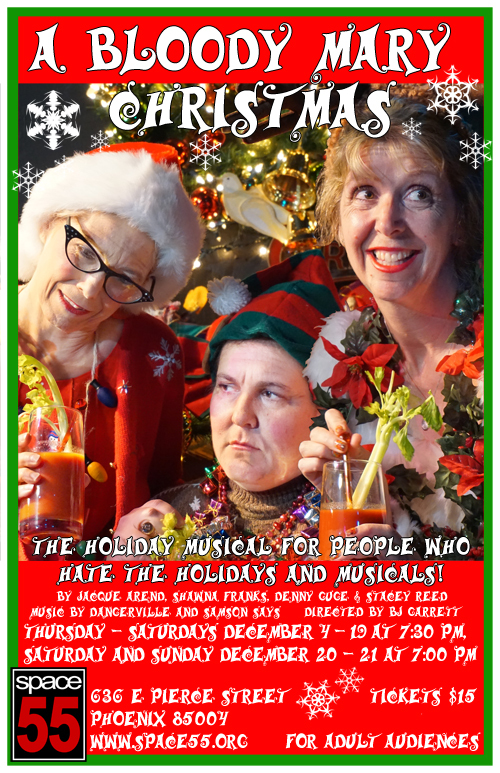 Sun City retirees Blanche, Bertha and Mabel sing, dance and drink themselves silly as they battle a heartless homeowner’s association that tries to evict them from their condo on Christmas Eve. You’ll laugh, you’ll cry, you’ll pee a little. Need we add that this show isn’t even remotely appropriate for children? Featuring original music by Dangerville and Samson Says. The cast includes Toni Jourdan, Lee Quarrie, Paula McKenny and Bob Peters.